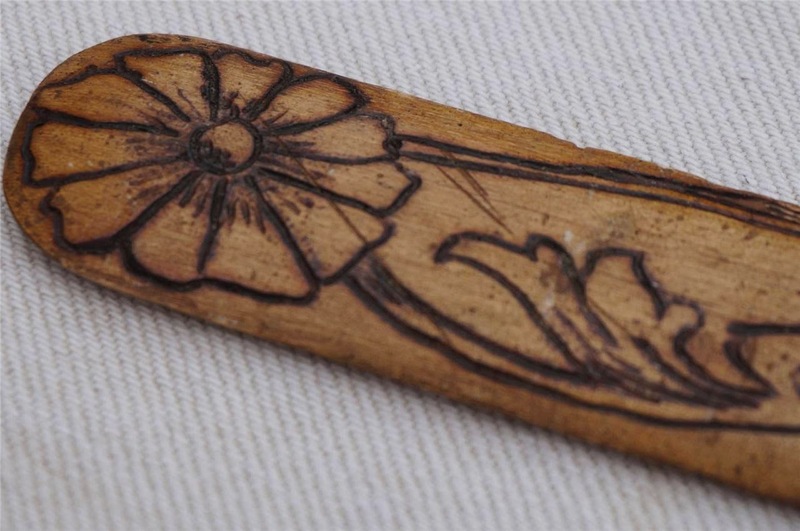 Carved flowers and vines adorn this handcarved wooden corset busk, probably belonging to one Miss Hibbs of Norristown. 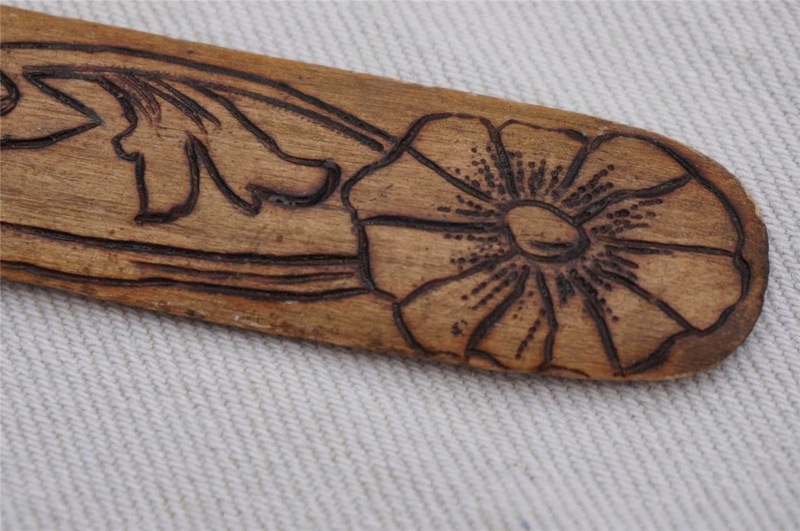 This busk was found in her box of remembrances, old albums, a valentine and a tatting shuttle. 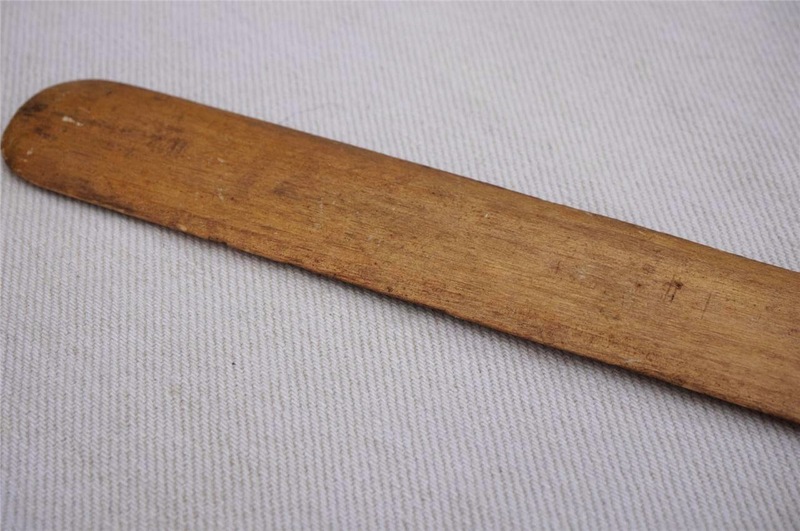 In excellent condition, measuring 1 inch wide and 9 inches long approximately. 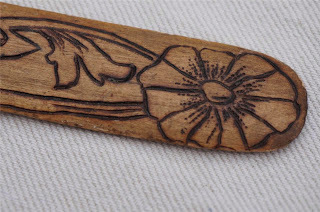 The carving is similar to motifs popular in the mid 19th c. Although many were going to the new corset, some - particularly outside of the large urban centers- stuck with the traditional long stays of which a wooden busk would have been used. You can see variations on the long stays being used well up into the American Civil War era with fashionistas of the time decrying how many people still wear the long stays rather than the far more fashionable corset. I'm putting this at about 1850s but it could easily go earlier. Very cool! I haven't seen many like this one. I wouldn't be surprised if the act of giving someone a busk as a love token continued way after the wearing a busk was fashionable. So this may never have been worn.